Larry, a crew of cosplayers, a stray dog called Max and a bunch of insomniacs all feature in my new novel, out now for Amazon Kindle. If you’re interested in reviewing, or rating and reviewing on Amazon and/or Goodreads, add a reply here and I will drop you a free copy. 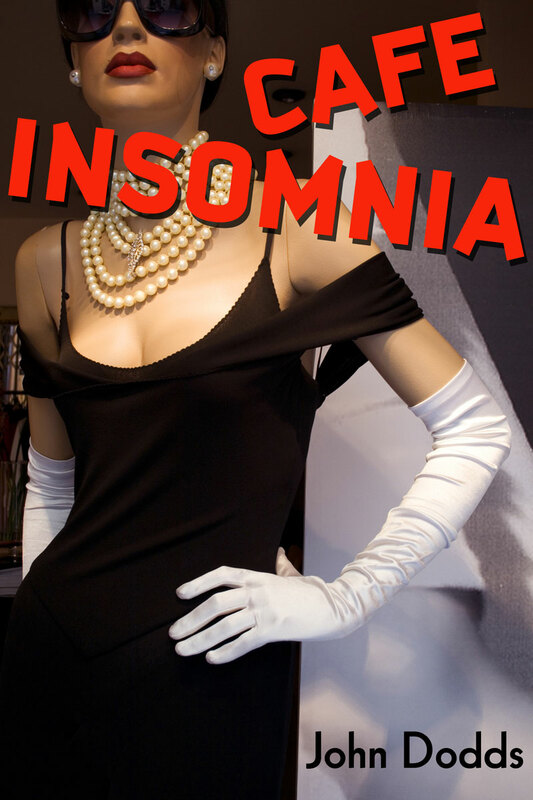 My latest novel, Cafe Insomnia, will soon be out on Amazon. I’ve started working on book two. If, like me, you enjoy creative arts that fall between the cracks of conventions and genres, I’d like to recommend the Interstitial Arts Foundation, and their latest anthology, Interfictions 2. The anthology showcases twenty-one writers from six countries. My historical Japanese fantasy adventure, Oni, is now out on Amazon (0.99c Amazon.com and 77p in the UK). Description: Danger and desire in ancient Japan. A runaway bandit disguised as a monk must defeat demons, his former bandit crew, and a devastating plague to win the heart of a woman. “Loved this one! Romance, great characters (and a very unusual main hero), gripping tension and a menacing, horrifying enemy. I kept thinking about this story days after I read it! A” – Tara Fox Hall (reviewing the story which originally appeared in now-discontinued Warriors and Wenches anthology, written under the author’s pseudonym, JT Macleod). I have removed DRM, which means you can put it on other devices if you don’t have a Kindle. I also want to repeat the offer I made for my paranormal romantic comedy, Dead Boyfriends (think Bridget Jones crossed with Buffy the Vampire Slayer) – I’ll send you a free copy in exchange for a review on Goodreads or your blog or other social network. Same applies if you reblog this – just drop me a line, using the contact form below.